If you’re having one of those days where there’s dirt tracked through every room in the house, piles of books on every surface, cupboards with contents spilling out and kids whining that they’re bored, then I know you’re an amazing parent. Sure, being a parent is about setting healthy boundaries and saying no when necessary, but it’s also about exposing our children to the richness of life and letting them get dirty in the process. Here are eight things you’re doing right with your parenting. 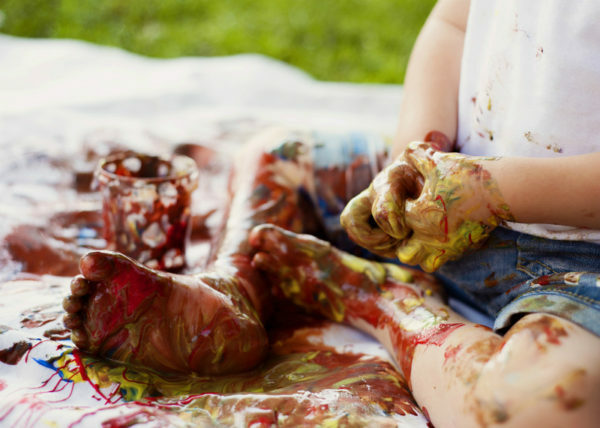 Mud, dirt, paint or food: if your children are covered in it, then well done! Soggy shoes will dry out and mud or paint will wash off, but what won’t disappear are the great things that happen when kids get messy. Every time you let your children explore the backyard, picking up and looking at things they find on the ground, their immune systems are getting stronger. Scientific studies have even found that getting dirty cheers you up. Also, messy experiences are always sensory experiences – that’s why kids inevitably end up eating sand at the beach and squelching their feet in mud. Because it feels good! There is no love like the love of a parent who hears the dreaded words “Read it again!”, grits their teeth and turns back to the beginning of the book. Again. And again. Reading aloud to your child as they snuggle by your side is doing wonderful things in their brain. Shared reading experiences help children develop language and literacy skills, but they also enable even tiny children to make sense of the world around them. And there’s nothing like reading together to strengthen the bond of security and intimacy between the two of you. Our society has developed some kind of odd fear of boredom. We fill our children’s play spaces with hundreds of toys so they are constantly entertained, and yet there is a strong link between boredom and creativity. One researcher and child development expert even suggests that instead of rushing to fill a child’s space when they’re bored, we should find ways to ‘develop their capacity’ for boredom. Even just showing them that you’re comfortable with their boredom is a start, as they’ll follow your example. Eventually, most boredom leads to creative endeavours that may even surprise you with their brilliance. 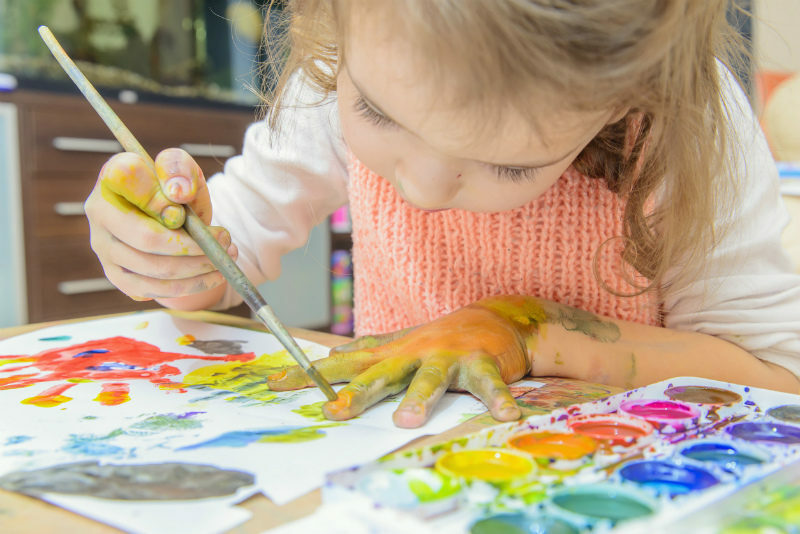 Most parents have experienced a child who wants to start a messy craft project five minutes before bed time and you’re well within your rights to knock that idea on its head. But as for the rest of the day, embrace the creative instinct and everything it includes – even if it means you’ll have to clean up a bit of glitter and glue. 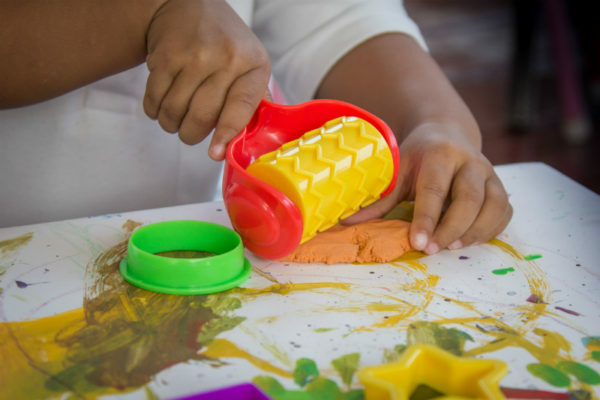 Not only will you see the delight on your child’s face as they show you what they made, but you’ll know they’re developing their imaginations and ability to express themselves at the same time. Letting your four-year-old dress you in a ridiculous wig and mismatching outfit, and playing the role of the wizard, fairy or evil stepmother in a make-believe play is parenting at its finest. By being a part of their imaginative play, you’re helping them develop emotional intelligence, a greater sense of self and a confident grasp on the real world versus the imagined. When your little boy waves a wooden spoon and turns you into a frog, he’s experimenting with control and limitless possibility. In his imaginary world, he can be anything he wants and you can too! Kids love pulling apart, taking down and rifling through the contents of their parents’ cupboards. They are often more interested in everyday adult items than the colourful, light up toys we put in front of them. 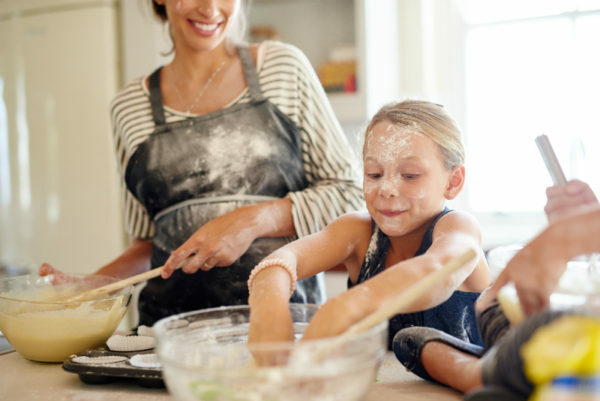 Cooking together is one great way parents can let kids experiment with grown up skills while under their own watchful eye. The learning that’s happening as your kids develop their abilities is definitely worth the mess – before you know it they’ll be making dinner for you! Getting down on your children’s level, holding them, tickling them, spinning them and pouncing on them during ‘rough-and-tumble’ play is great for expending energy, building closer physical relationships, demonstrating how to play safely, and test their body’s limits. And it’s not just a ‘dad thing’ – mums can definitely get involved in rumble time, too! While many mums instinctively worry about whether their child will fall and injure themselves, letting children take age-appropriate risks is vital in helping them grow into confident adults. Taking risks like climbing trees and rocks, wading in creeks, swimming in the ocean and hanging upside down are all important parts of brain development. Risk-taking helps kids learn to solve problems, test their physical and mental capabilities, work in teams, use common sense and judgement to make decisions, and build resilience and social competence – just to name a few!